Bring the beauty of the tropics to your home! 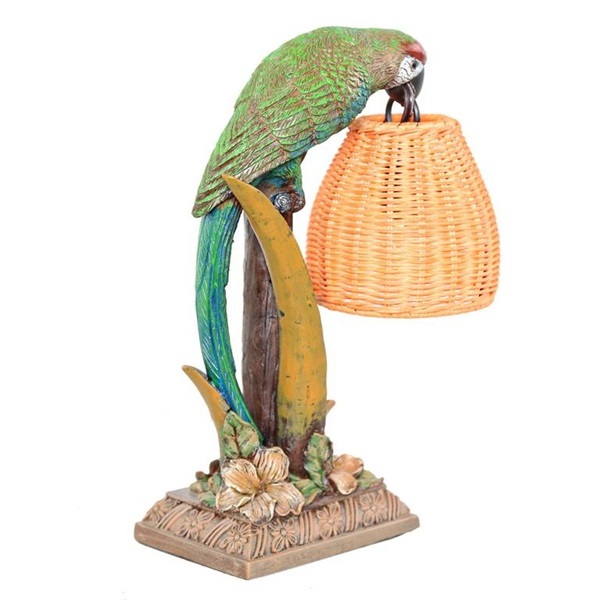 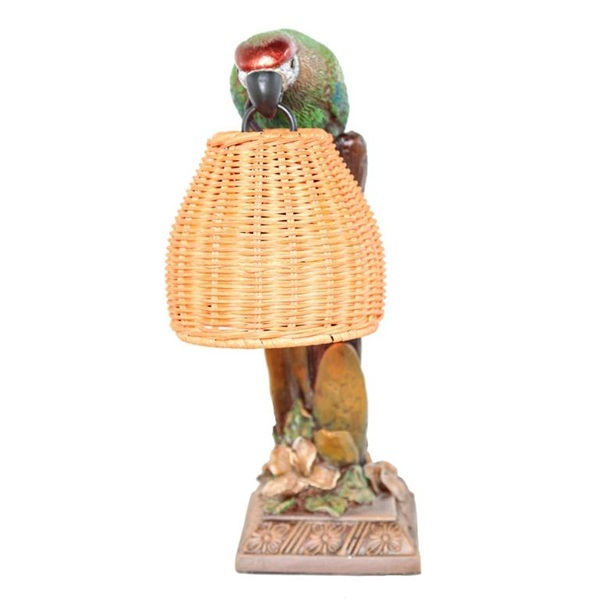 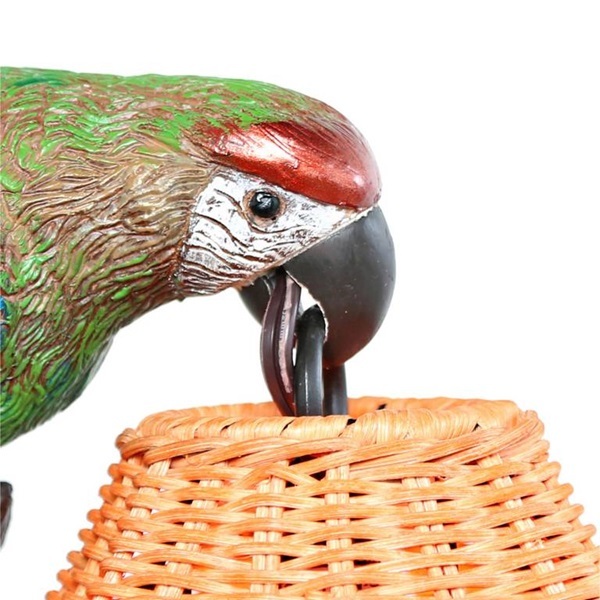 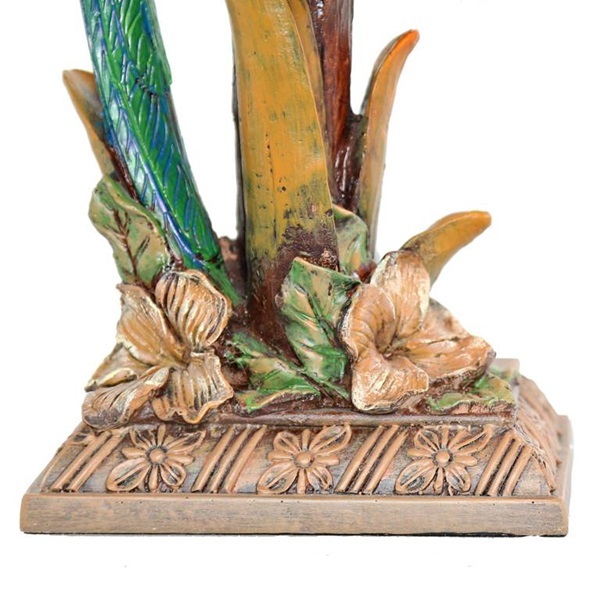 A colorful parrot perched on a tree branch gently holds a wicker basket full of light in this unique style that measure 13.8"H. The resin base is beautifully and artfully painted in the tropical colors of the Macaw while he rests on a tree branch. 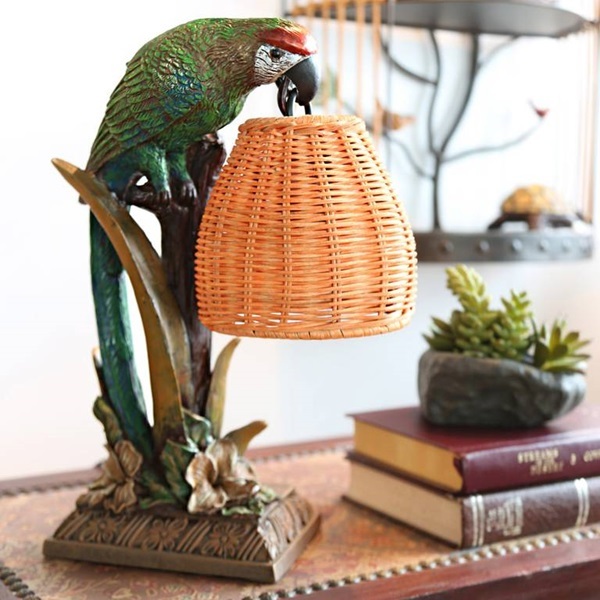 The light is gently diffused as it radiates from the basket-style rattan shade. 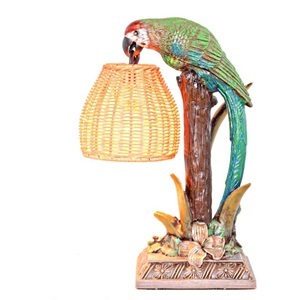 A unique table lamp to bring the warm light and style of the tropical rainforest to your home!